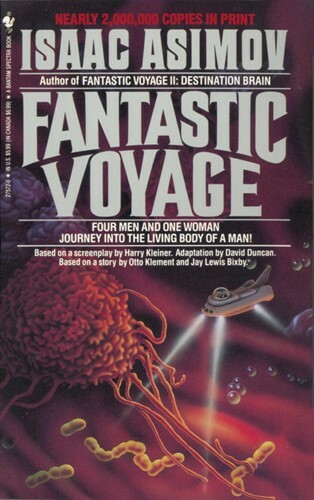 Four men and a woman are reduced to a microscopic fraction of their original size, sent in a miniaturized atomic sub through a dying man's carotid artery to destroy a blood clot in his brain. If they fail, the entire world will be doomed. From the Paperback edition.